In case you are looking for a sleek, capable, and secured handset from Alcatel, this could be it. Together with other smartphones, the company just announced the price cut of Shine Lite on Facebook. In cased you missed it, the Alcatel Shine Lite is a stylish handset with sandwiched metal and glass design, 5 Inch 2.5D screen, and fingerprint scanner behind. The device runs with 1.3 GHz MT6737 quad core processor, 2 GB RAM, 16 GB expandable storage, and 2,460 mAh of battery capacity. Camera-wise, it has a 13 MP main camera and a 5 MP front facing camera for basic mobile photography and selfies. It also has WiFi, LTE, Bluetooth 4.2, OTG, A GPS, FM Radio, and dual SIM card slots. The phone loads with Android 6.0 Marshmallow OS out of the box. 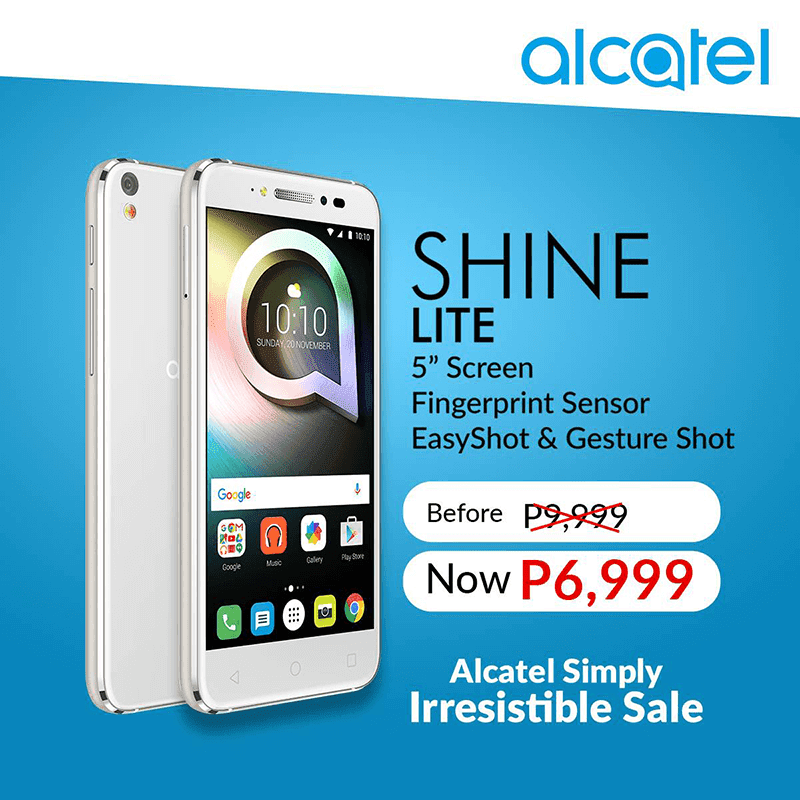 From the original SRP of PHP 9,999, the Alcatel Shine Lite is now PHP 3,000 more affordable at PHP 6,999. Promo runs until supplies last.